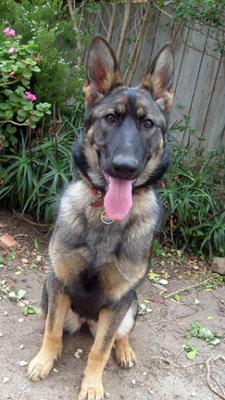 Jayda is our 10 month old shepard! Shes our first dog and honestly i cant remember what our life was like before we had her! Her newest love is going to the beach for a run in the surf and sand with her two cousins, border collies (12 months old) Archie & Ducie. She can recognise their names when we say them now and also knows how to spell W A L K; she is very clever.